Right now, it’s football season here in the U.S. Don’t expect an insightful analysis of the sport from me! An expert is called for. Not Terry Bradshaw or John Madden discussing the NFL. Instead, today Diane Capri Reveals the world of high school football in West Texas where Tiffany A. White, author of the Football Sweetheart series of young adult mysteries, reminds us that high school football can be murder. While Tiffany looks young enough to be a high-schooler herself, and she’s a lot of fun to be around all these years later, she spent ten years after college working in corporate America before publishing her first novel. I know. Hard to believe, right? Not only that, but Tiffany was born and raised in West Texas. She says she bleeds red and black for Texas Tech University and takes pride in being a Texan, despite not owning cowboy boots or a cowboy hat. How is that possible? Hey, we don’t call this segment Diane Capri Reveals for nothing. We’ve uncovered a few more surprises about Tiffany, too. Diane Capri: You’ve confessed to having a television addiction. You watch a lot of television! I know the ones that never sit on your DVR longer than one night include Bones, Psych, The Vampire Diaries, True Blood, Grimm, Burn Notice, Suits, and Justified. But if you had to choose only two favorites, what would they be? Tiffany A. White: Anyone who reads my blog, The Ooo Factor, knows just how intense my love for television really is. Asking me to choose my favorite TV show is like asking a mother to choose which of her children is her favorite. Okay, so it’s not really the same, but I think it gets my point across. 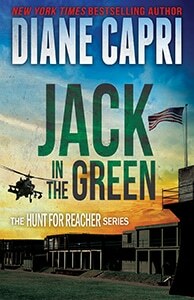 Diane Capri: You’re not trying to avoid the question are you? Do you have two favorites at the moment? Tiffany A. White: Not only is CBS’s Criminal Minds good TV, I use it as writing research and a great tool for understanding the minds of the criminally inclined. The team of highly trained FBI agents profile criminal behavior. This particular team studies “unknown subjects” of the investigation. Throughout their investigation, we see exactly how an unsub’s past plays a role in the present crime. Do they live in one place growing up or move around a lot? Do they hail from a happy or abusive home, or bounce from foster family to foster family? Were any family members incarcerated or suffer from mental illness? As a young adult mystery writer, it is important that I understand all of my characters, not just the teenage protagonist. Knowing the antagonist inside and out is just as crucial as knowing the protagonist. I’m not ashamed to admit that I’m thirty-something and addicted to a teen television show, Pretty Little Liars. Much like Criminal Minds, I explain my fascination with this young adult mystery as research. Actually, this ABC Family hit impresses me week in and week out. Not only is there the main mystery—who is A? (which will in turn answer who murdered their best friend)—but each of the four teenage girl protagonists have oodles of conflict surrounding them… mostly courtesy of the mysterious A and her minions. I love it. The twists and turns incorporated into every character’s story and episode make for one of the best soap opera-style TV mysteries in a long time. Diane Capri: It’s not hard to see your enthusiasm for your genre. Tell us a bit about Football Sweetheart. Are the names in the story special in some way? Tiffany A. 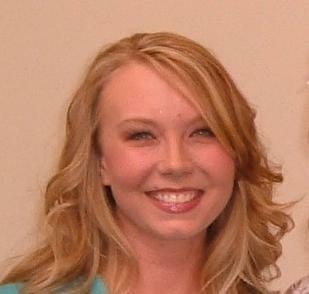 White: I have had the basic story of Football Sweetheart floating around in my head since college. The names are symbolic and pay tribute to some of the loves of my life. Michael and Elaine Freeman are named after my parents. Pressley, Carly, and Jeanie, are named after three of my closest friends. Many others that have touched my life in one way or another can see their last names, initials, or another variation in the book. And for the most part, these special people figured it out and love it! Diane Capri: You’ve told me you loved high school and attended both your ten and fifteen year high school reunions. How’d that go? Tiffany A. White: *laughs* Midland is not a large city; it has two high schools and each graduating class in 1995 had just north of 400 graduates. The school system is set up so that the junior highs split and feed into the high schools; therefore, a lot of my junior high friends graduated from our cross-town rivals. Our reunion committee decided to combine the classes for one big party—and that’s just what it was. Proudly, the friendships were still there after all those years. The Saturday night party was a huge success and we had the time of our lives. Much like high school, the cliques were non-existent; even though different circles of friends existed, everyone got along. I’ve been blessed to remain close friends with many of my high school classmates and we picked up right where we left off the last time we saw each other. And when there’s an open bar involved, we can definitely entertain ourselves. We all posed for pictures like this; I just thought it was a good idea to only embarrass myself by sharing this never before seen photo! Diane Capri: *laughs* You’re a lot of fun, Tiffany. If you’d been a student at my high school, I can only imagine all the trouble you’d have caused! What one word best describes you? Tiffany A. White: Crazy! But in a good way. *laughs* I’m a firm believer that life is too short to not have a good time. Any opportunity I have to laugh or smile, I do—I love to dance “Elaine” type dances from Seinfeld; I love to sing, making up words along the way; and I love to laugh, the more the merrier. When really tickled, I’ve been told I have a “voice that rings.” That’s the nice way of saying I’m very loud… Hey, everything is bigger in Texas, right? Thanks so much for the support and for stopping by! I think being silly and keeping things real is the real fountain of youth. See … that’s why you look so fab and youthful! Great interview!! Hey, Tiffany, this is just what I needed to jump-start my day. Thanks, and thanks to Diane! Happy to help, S.J.!! Thank you so much for stopping by! Thanks for reading, Sally. Hope you got a few grins! Awwww…..you’re very welcome, Tiffany. Glad to do it! I had fun reading this interview. And, Tiff, that picture is the bomb, girl. LOL. It looks like somebody dropped a bomb… sorry, I couldn’t resist. See where my mind goes? Thanks so much for the support Catie! You are one of the best! I love Miss Tiffany A. White. She is a dear friend and fabulous author. 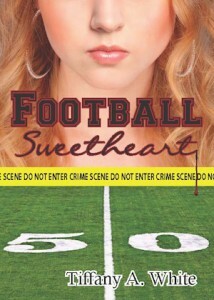 I am eagerly waiting the next Football Sweetheart book for the series!!!! Awe, thank you so much! I hope to have book two out later this year with three and four following in 2013. Thank you for reading, Brandy! Fun interview! And you can’t beat that photo. Love it! Way to feature one of my favorite people!! Tiffany cracks me up, her book is great, and if it wasn’t for her, I don’t think I’d have my own book coming out in the new few months. Wow, Amber! What a great compliment. You must be good friends. Thanks for stopping by and good luck with your book! Love that picture! Thanks for a fun interview, ladies! Glad you enjoyed it and thanks for stopping by, Kassandra. What a fun interview, Diane and Tiffany. I love Bones and Criminal Minds. You’re so right that it helps see how the background of a character impacts his or her actions. Diane Capri, this is a great interview with Tiffany. I love Bones, but not Criminal Minds so much….too gruesome for me. I can see where a writer would get some ideas. Great interview, and as a football lover, I’ll have to check out the Football Sweethearts series! Yay! I’m always happy to meet a fellow football fan, Julie! Who’s your favorite team? This is such a fun interview, Diane and Tiffany! 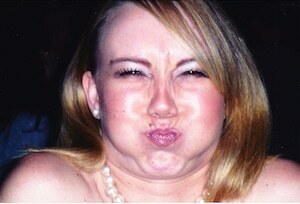 That’s a hilarious photo of you making a funny face, Tiffany. Made me laugh out loud! And you do look like you’re still in high school!